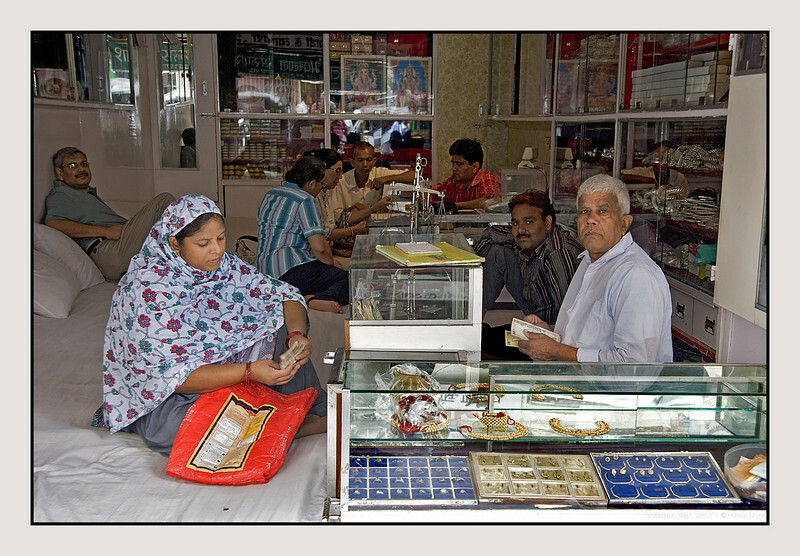 Udaipur is famous for it's silver jewelery and that's where the ladies took us along! The old sarees & jewelery shops had this kind of comfortable mattress seating arrangements, probably encouraging the women to lounge there the whole day! What a superb idea - and a wonderful capture. Very nice capture and great info. Another extra ordinary photograph from this National Geographic quality documentary photographer. I can't say enough to praise your skills and talent! Sounds like an idea we should adopt. Wonderful shot, Harsh. Love the colours . Great capture!! An interesting scene of the people.